It is with heartfelt sadness that we have been hearing about the tragic news of the earthquake that shook the lives of those in Nepal and the surrounding countries. With more than 4,600 people dead, 9,000 injured, a total of eight million affected across Nepal, the earthquake destroyed centuries-old monuments and homes that took lifetimes to build. 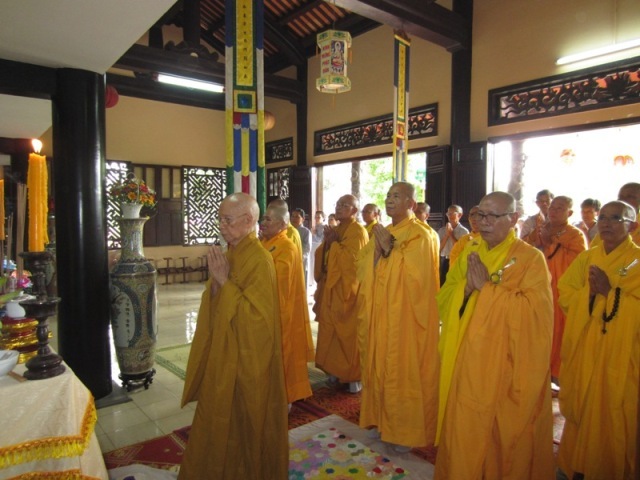 We as the Unified Buddhist Sangha of Vietnam would like to send our sympathies to the Nepalese Government and sincerely express our deepest condolences for those who have passed away from this tragic disaster and wholeheartedly pray for those who are injured to recover fully and those who are missing to be reunited with their families. We are doing the best we can to fundraise money and gather emergency supplies to ship over to Nepal to provide a relief for those who are suffering. May the Triple Gem of the Buddha, Dharma and Sangha bless everyone in Nepal and the neighboring countries.